Derfner Judaica Museum + The Art Collection at Hebrew Home at Riverdale, in conjunction with Garvey|Simon, New York, is pleased to announce its latest exhibition Susan Schwalb: Metalpoint Paintingson view in the Elma and Milton A. Gilbert Pavilion Gallery from January 15–May 14, 2017. A reception and artist’s talk will be held on Sunday, January 22, 2017, from 1:30–3 p.m. in the Gilbert Pavilion Gallery at Hebrew Home at Riverdale. 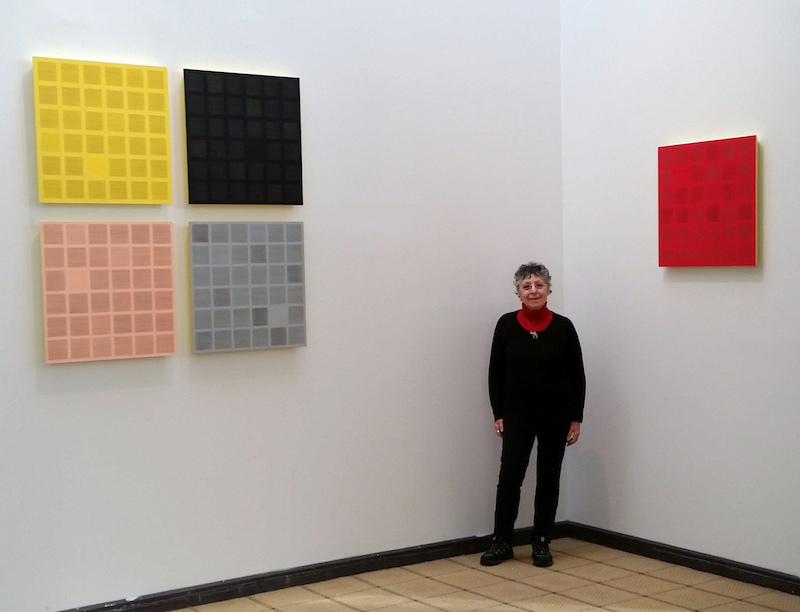 The exhibition includes 15 paintings executed in metalpoint and colored gesso by Susan Schwalb, who has been working in the centuries-old technique since 1973. She began experimenting with silverpoint after encountering the medium unexpectedly via an artist friend and has emerged as one of its foremost masters today. 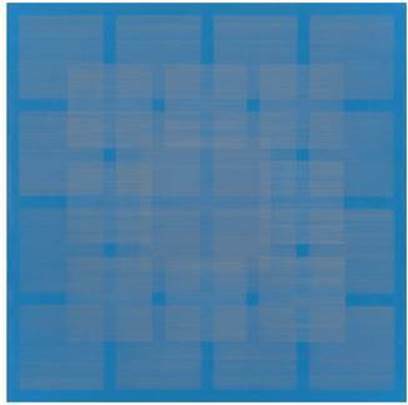 Susan Schwalb, Polyphony VI, 2013, silverpoint, goldpoint, copperpoint, blue gesso on paper on wood panel, 16 x 16 x 1 ¾ inches. Courtesy Garvey|Simon, New York. Historically, the practice of metalpoint dates back to the High Renaissance, when silver was the most commonly used material. Artworks created using this technique are executed with a metalpoint stylus that creates very fine lines when applied to specially coated paper. Once a line is laid down, it cannot be erased or changed. Schwalb uses a variety of metals in her work, including copper, aluminum, gold, platinum, and tin. Working on a prepared surface of either wood panel or paper laid on wood panel, she draws painstakingly thin lines in different formations. Schwalb often coats the paper herself, creating the surface on which she will work, and considers this to be an essential part of her creative process. Susan Schwalb, Harmonizations III, 2015, goldpoint, silverpoint, Jaune Brilliant and yellow gesso on paper on wood panel, 24 x 24 x 2 inches. Courtesy Garvey|Simon, New York. Work from three series are included in this exhibition—Harmonizations (2015), Intermezzo (2015–2016), and Polyphony (2013–2016)—each of which derives its title from musical terminology. Schwalb intentionally works in series, drawing inspiration from previous works to create new ones. For example,Harmonizations is a direct continuation of the spatial and compositional explorations that began in Polyphony, a series focusing on overlapping lines and shapes. 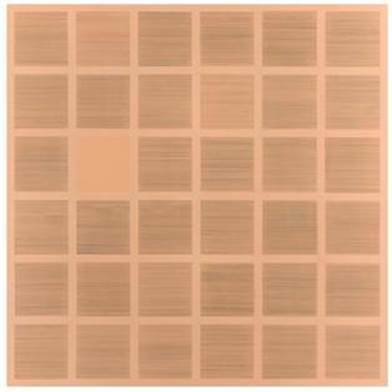 Each piece inHarmonizations is both executed on a square picture surface and comprised of 36 individual smaller squares, with a single one left blank. 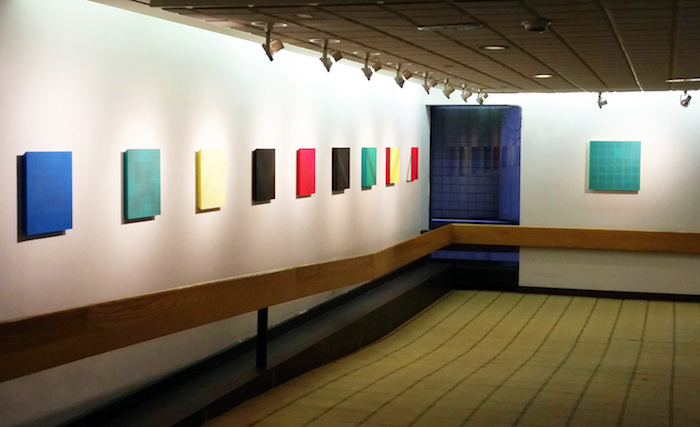 The series explores the idea of the void, or a space intentionally left open and unoccupied. Working in a square format has been paramount to Schwalb’s work since 1997. Susan Schwalb is one of the foremost figures in the revival of the ancient technique of silverpoint drawing in America. She was born in New York City and studied at the High School of Music & Art, and at Carnegie-Mellon University. Schwalb has been in residence at the Virginia Center for the Creative Arts (2010,’07, ‘92,’73), the MacDowell Colony (1989, ’75,’74), Yaddo (’81) and has had two residencies in Israel in 1994 at Mishkenot Sha’ananim, Jerusalem, and the Tel Aviv Artists’ Studios. She has had over 35 solo exhibitions and has exhibited nationally and internationally. Her work is represented in most major public collections, including The Museum of Modern Art, New York; The Metropolitan Museum of Art, New York; the National Gallery of Art, Washington DC; The British Museum, London; the Brooklyn Museum, New York; Kupferstichkabinett—Staatliche Museen zu Berlin, Germany; the Victoria and Albert Museum, London; and The Ashmolean Museum, Oxford, England. Currently, two of her prints are included in The Metropolitan Museum of Art’s exhibition Drawings and Prints: Selections from The Met Collection which is on view in The Robert Wood Johnson, Jr. Gallery through January 30, 2017. Elizabeth K. Garvey is the co-founder and owner of Garvey|Simon, New York (est. in 2010). Prior to her current role, she was President and Owner of EKG Art Advisory (1999–2009) and Co-Director of Schmidt-Bingham Gallery on 57th Street in New York, where she worked from 1989–1998. Liz runs Garvey|Simon Gallery, a boutique gallery in Chelsea that is focused on drawing, works on paper, unusual materials, and design, while also acting as curator and advisor to select private clients. With over 25 years of experience in the fine art industry in New York, Liz leverages her professional relationships with other galleries, auction houses, private dealers and artists to offer clients a relaxed entry into the often intimidating visage of the New York art world.